Can't wait to see how long Aman's beard is by then. Wow 50,000 to the winner! I played the 1985 British Championship of backgammon at the Isle of Man and won. The First Prize was 10,000 and a nice trophy. But then the prizes came solely from entry fees.The money was converted to $20,000 Cdn. Also cleaned out the casino at blackjack - at least they had to pay me with a large wad of 5 pound notes. One regret I didn't know one of my favourite authors George MacDonald Fraser, was living there in Douglas. I would have visited him there had I known. He's died since then. He's famous for his Flashman series where the British army officer fights in every war between 1840 and 1880 Afghanistan, Crimea the Little Big Horn and survives somehow. John Saunders reports: We're now just ten days away from the first round of the 2017 Chess.com Isle of Man Masters and the top end of the starting field is beginning to firm up. As readers might already be aware, there is a slight overlap with the FIDE World Cup currently in progress in Tbilisi, Georgia, with many of the leading contenders in the FIDE world championship-qualifying event also scheduled to be playing here in Douglas, Isle of Man. However, given that the FIDE competition is a knock-out, it should only affect those players who make it through to the final match in Tbilisi. So, if you look at the Masters line-up as listed on the website, you will see the words "subject to progress in World Cup" to the right of the relevant competitors' details. We're updating these details on a daily basis and you will note that it now only applies to four competitors, namely Maxime Vachier-Lagrave, Wesley So, Maxim Rodshtein and Richard Rapport. Good luck to all four of those gentlemen in what has been an uncommonly bloodthirsty, though at the same time I hope they won't take it the wrong way if I express the hope to see them in ten days' time in Douglas. This effectively confirms the participation in the Isle of Man Masters of the following big names: former world champions Vladimir Kramnik and Vishy Anand, plus Fabiano Caruana, Hikaru Nakamura, Mickey Adams, Boris Gelfand... and I've not even exhausted the names of players who have played matches for the world title or have ratings currently in excess of 2700. Mike Klein at chess.com has a whole list of numbers relevant to the coming tournament. 50,000 -- First prize, in pounds, in 2017. 4 -- Number of American Olympiad gold medalists that played last year. After the "obvious" Caruana, So, and Nakamura, who was the fourth American gold medalist in 2016? Retired librarian GM James Tarjan, board four of the gold-medalist 1976 team. 70 -- Number of grandmasters. That's about one for every three square miles on the island, or about five percent of the world's supply of living GMs. 14 -- Number of airports serving Isle of Man with at least one direct flight. 29 -- The all-time record high temperature in Celsius. 32 -- Number of miles the island is long. The Isle of Man's history museum claims the British Isles are an extension of the Appalachian Mountains, before they broke off from modern-day Canada. 36 -- Number of federations represented. 38 -- Number of grandmasters above 2600, up from 25 last year. 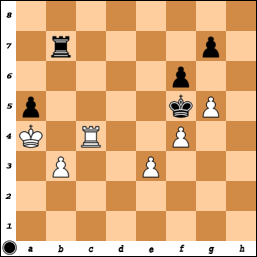 After reading a book recently by Ivan Sokolov, I think I would pay to see him here in a game against Aman Hamilton! The two opposing World Cup commentators head-to-head, if you will. The tourney starts September 23 at 1:30 PM local or 8:30 AM Montreal/Toronto time. Last edited by Wayne Komer; Tuesday, 19th September, 2017, 10:38 PM. Good Luck and Good Skill Aman and Eric! Grab the opportunities! Sad to miss this year as I've moved off the Isle. Especially given their innovative first round pairing system this year - first round pairings will be done at random, not by swiss style. Theoretically, you could see Naka vs Magnus in round 1. There are less than 48 hours to go as I write this, and it still seems like a dream that we're going to see the likes of Magnus Carlsen, Vishy Anand, Vlad Kramnik, Fabiano Caruana, Hikaru Nakamura and many more famous chess players square up against each other at the Villa Marina on Saturday afternoon. I've not yet seen any of the above names as yet, but I did nearly bump into Peter Leko in the hotel lift earlier. You'll recall that Peter was a heartbeat away from being world champion back in 2004, tying his title match with Vladimir Kramnik on 7-7 after Vlad managed to win the 14th game. That was the last match played under the traditional rule that, in the event of a tie, allowed the champion to retain his title. These days champs are on equal footing with their challengers and have to go toe to toe in a play-off. And yet Peter only ranks 17th in order of ratings at this tournament. That's a measure of how strong it is. The other strong player I came across this morning was Emil Sutovsky, taking the air along the promenade. Emil and I had a nostalgic chat about the old Monarch Assurance Isle of Man tournament, which ran in Port Erin, Isle of Man, from 1992 to 2007, and which Emil won twice, in 1998 and 1999. Happy memories for him, and also for me as I worked at the Monarch tournament from 2001 to 2007 and came to love it and all the people who created it. On Thursday 21 September, as a warm-up event before the start of the Chess.com Isle of Man Masters, there was a simul given by top rated woman player Hou Yifan of China against 15 players in the Villa Marina in Douglas. Alternatively the pairing system could be called "How to destroy a swiss tournament"
It will take several rounds to correct the imbalance where Joe Patz defeats Jack Fish in round one. What 'genius' came up with this idea? Anyways, its a 9 round swiss. Maybe it takes a few rounds to correct. The alternative is 50 boards of 400 pt mismatches, and it's nice to see someone trying something to get rid of that. Sorry to hear that Eric has decided not to play. Last edited by David Ottosen; Friday, 22nd September, 2017, 03:48 PM. The commentators are Simon Williams and Fiona Steil-Antoni. There are good pictures of the playing hall but little stoppages in the transmission. There are 29 boards “live”. The first round pairings were generated randomly, and, of course, the two big surprises were Hou Yifan getting paired with Alexandra Kosteniuk after her complaint about only getting female opposition at Gibraltar last year and Caruana-Kramnik. For the Candidates in Berlin, two of Caruana, So and Kramnik get in by average rating in December. A funny tweet from Nigel Short: I thank the Lord for not pairing me with Black against Magnus Carlsen in the first round. Arbiter (seeing Mr X): "Have you come to register?" Arbiter: "Where are you from?" I can now reveal Mr X's true identity (if you hadn't already guessed) as Magnus Carlsen. Incidentally, now I come to think of it, Magnus and Peter might well have met before, or very nearly. A few years ago Magnus came down for the end of the Gibraltar tournament to see some of his Norwegian mates who were playing there. Not sure of the year: I think this was after Magnus had won at Wijk, when he was already world number one but not yet world champion. After the tournament Peter Purland was, as always, organising the coaches back to Malaga Airport, for which the travellers were charged ten pounds each. The story goes that a certain random Norwegian who wasn't on the official coach list (let's call him Mr X) was smuggled onto one of these coaches without paying his ten pound fee. Mr X successfully hoodwinked the organiser and made his getaway back to Norway without paying. The story also goes that Peter is aware of this fact. So I might not be the only person getting an old-fashioned clip over the ear from the chief arbiter in the next few days. Moving on from random Norwegians to random pairings: yesterday evening the top eight players lined up on stage at the tournament hall to draw the names of their opponents from a tombola machine. But before describing the fun of the draw, let's first consider what was behind the move to a random pairing for round one. I can reveal here, exclusively, that it started some months ago with a conversation between tournament director Alan Ormsby and... let's just call him Mr Y for now. During this telephone discussion, Mr Y expressed his dissatisfaction with certain aspects of Swiss tournaments. He found round one of traditional Swiss tournaments particularly tedious, with a long litany of mismatches and only the very occasional newsworthy David success against Goliath. Why, he asked rhetorically, was it axiomatic that the top players should be kept apart until the latter stages of a tournament? He empathised with chess scribblers and promoters who had to try and make reports of early rounds of Swisses interesting with so little useful material to work from. Why were pairings so slanted in favour of higher rated players anyway? It was no longer necessary to add sweeteners to attract strong players these days since the prize list was sufficient inducement in itself. Why were pairing regulations so complicated? He expressed the view that the regulations should be sufficiently simple so that they could be explained to the man in the street in five minutes. Alternation of colours - yes, of course - pairing with someone on the same or similar score - yes - but why all the other palaver? If random pairings make it a bit harder for norm seekers - tough. The world has enough titled players anyway, and this would compensate for the rating inflation that has made the gaining of titles too easy. On and on Mr Y pontificated in his usual long-winded way. Only he usually does this in writing... and some of you might be starting to wonder whether Mr Y reminds you of the current writer. Well, I suppose it is time to come clean. I shall now out myself as Mr Y. Yes, I was responsible for the initial idea. Alan Ormsby thought it sounded interesting and took it away to discuss and work through with arbiters and officials. I rather thought that would be the last I heard of it - in reality I was only sounding off, like the grumpy old man I am turning into - but a few weeks later Alan phoned me back to say that they had checked it over and decided it was a runner. The implementation has been shorn of some of my wilder ideas, which is probably just as well. But if anyone wants a scapegoat for the random pairing idea I guess that will have to be me. I shall ascend to the verbal guillotine of Twitter with as much dignity as I can muster. "It's a far, far better thing I do...," etc, etc. First man to the tombola machine was number one seed Magnus Carlsen. His first job was to decide the colour of the top board pairing and he duly drew a white queen from the bag. (Thereafter the boards alternated colour for the leading players so no further colour draw was required.) Then he drew out the name of an Icelandic player, Bardur orn Birkisson, rated 2167. Master of ceremonies Mike Klein referred to him as "a fellow Scandinavian" but the world champion swiftly corrected him: "Iceland is not Scandinavia." Nice pairing for Magnus - I think he now owes me a tenner for my random pairings suggestion, just as he does the arbiter for that illicit coach journey (oops! I think I just blurted out the second Mr X's identity). Next up was Vladimir Kramnik, who already knew he was going to be Black in the first round. Vlad's face registers surprise - "Caruana..."
"... Fabiano!" Vlad Kramnik's surprise turns to amusement as he finds he is playing the number three seed. Vlad Kramnik read out the name as it was given (surname first) on the slip of paper: "Caruana Fabiano!" and suddenly his faced was wreathed in smiles. Fabiano Caruana also grinned at the news. At least one person in the auditorium - namely me - was greatly relieved at their good-humoured reaction at being paired with the highest rated player remaining in the draw. Generally the players seemed to have reacted quite well to the random pairing idea. We shall have to see how they feel after the game. I might need a safe house. Any offers? Vishy is paired with an IM from the USA. Arbiter Matthew Carr writes the name down, while Mike Klein asks the questions. Vishy Anand was the next to step up and found he was paired with Marc Esserman, an IM from the USA. Vishy smiled as he was reminded that Esserman had held him to a draw last year in Gibraltar. Hou Yifan's pairing? Tsk tsk. - Isaac Steincamp - Wow! Tomorrow my coach, Eugene Perelshteyn, takes on Magnus Carlsen .. Good Luck, ! 'll be rooting for you! Last edited by Wayne Komer; Saturday, 23rd September, 2017, 08:55 PM.